Nearly is a simple way to create smart location reminders. Simply add a location by searching, entering an address or long-pressing on the map and Nearly will notify you when you are nearby. When you open the app from a notification, tap the car icon and you'll immediately get driving directions in Maps. 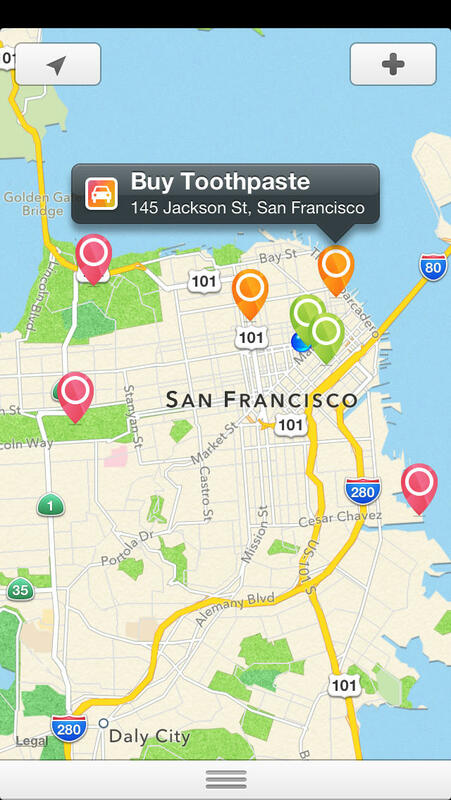 On the home screen you'll see all your location reminders sorted by distance and color-coded so you'll know what you can get done nearby. Nearly also supports todos that aren't location specific, so you can keep all your todos and location reminders in one place. Please email us at hello@nearlyapp.com for feedback and suggestions. We love to hear from our app users. This product uses TRAutocompleteView Copyright (c) 2013, Taras Roshko.